The Friendswood Animal Clinic team of skilled veterinarians welcomes you to our practice. Proudly serving the Friendswood area. At Friendswood Animal Clinic, it is our daily privilege to provide quality vet care to your cherished pet, with compassion and competence. We hope to ensure a positive impact on our patients, pet owners and the local community. Dr. Donna Coleman was born and raised in Jones Creek, Texas. She Attended Texas A&M for both her undergraduate Veterinary degree. She graduated from Veterinary School in May of 2006 and has been working at Friendswood Animal Clinic since April of 2008. She currently lives in Angleton with her husband, Bill, and daughter, Grace. They currently have two dogs, Sky a German Shepherd and Hank a black Lab. They have also recently been adopted by two cats, Captain Willie and Calypso. The family tries to spend their free time on the water fishing, skiing or swimming. They are also huge Astros fans, so don’t be surprised if you catch them at a game or two. Dr. Brent Melloy joined the Friendswood Animal Clinic in 2012. Prior to that he owned and operated Animal Care Center in Houston. He graduated from the Texas A&M College of Veterinary Medicine in 1989. 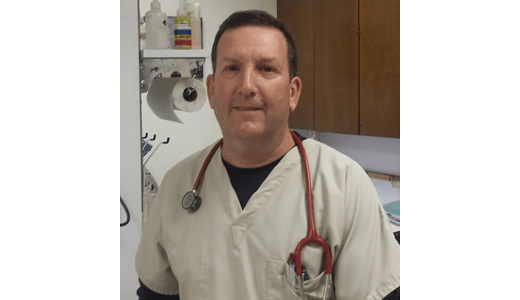 Dr. Melloy enjoys canine and feline medicine equally. Dr. Melloy and his wife Joy live with two rescues from the Houston Collie Rescue named Jack and Hollie. As residents of Friendswood they are active in local animal welfare and have adopted many cats from the Friendswood shelter over the years. They currently live with three such felines named LBK, Cleopatra and Tino. Brent and Joy enjoy traveling to the various islands of the Caribbean, gardening and cooking. They also enjoy taking their dogs to the local “pet friendly” restaurants. Dr. Murphey is thrilled to have joined the Friendswood Animal Clinic team once again! She had practiced with us from 2003-2012 and happily returned to the great state of Texas in 2015. She received her Veterinary degree in 1990 from Ohio State University and has practiced all across the United States. 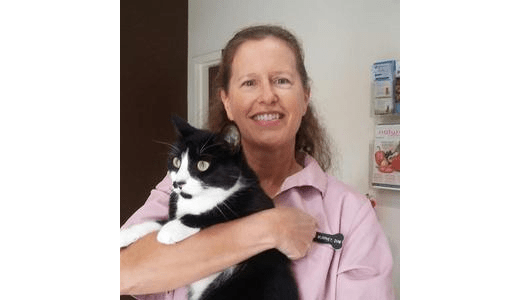 She has a special interest in cats, but enjoys working with all of your pets to ensure they live long and healthy lives. Dr. Murphey lives with her husband, Ed, and their three cats. She prefers outdoor activities including triathlons, sailing, skiing/snowboarding and tennis. 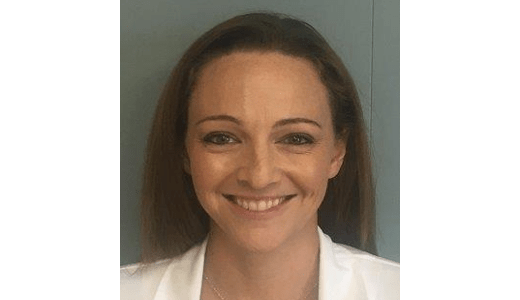 Dr. Katie Roe-Jarisch was born and raised in Belton, SC. She received her undergraduate degree in Agricultural Education from Clemson University – GO TIGERS! 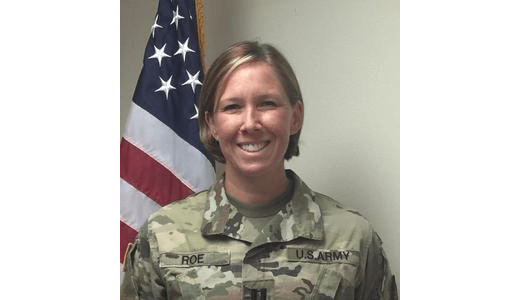 Dr. Roe received her Veterinary Degree from Tuskegee University in 2014. She commissioned into the Army Veterinary Corps in 2012 and served until 2017 before joining the team at Friendswood Animal Clinic. Dr. Roe and her husband, Bryan, live with a bulldog, B and 2 rescue cats, Ebi and General Eisenhower. Dr. Roe and Bryan enjoy salt water fishing and get away with family to Port O’Conner as often as possible. Dr. Roe loves veterinary medicine and admits to being a crazy pet owner. She looks forward to getting to know clients and their beloved fur-babies and helping them be healthy in anyway she can. Dr. Erum Qayum graduated from Louisiana State University School of Veterinary Medicine in 2014. She is a New Orleans native, but has attended school in both Texas and Louisiana. Dr. Erum Qayum attended The University of Texas at Austin for her undergrad, where she earned a Bachelors of Science in Neurobiology with Honors. 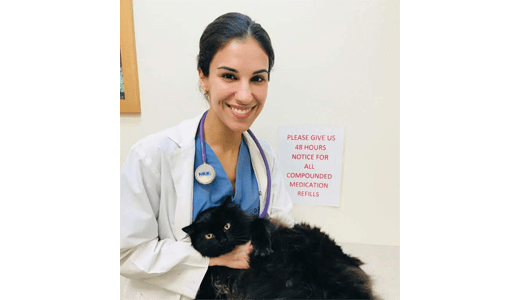 She began in private practice, but spent a year in shelter medicine at the Houston Humane Society, where she evaluated and contributed to many cruelty cases and investigations. Dr. Qayum also has a passion for disaster relief, providing aid and supplies during Hurricane Harvey. Dr. Qayum has a Pomeranian named Benny Bear, a Shih-Tzu named Booger and a cat named Bianca. Over the years she has fostered and re-homed many stray and abandoned animals, and she encourages everyone to visit the shelter before adopting a new pet. Dr. Qayum is an avid athlete, plays guitar, sings and likes to travel during her spare time.